When HiMax Technologies confirmed that it is launching its own line of pico projectors, not many people were surprised, as different brands of this high-tech miniscule device just literally sprung out of nowhere, gaining rapid popularity in the last few of years. Yet, when it announced that it is actually coming up with a USB 3.0 Pico Projector, all attention turned in HiMax’s direction. Pico projectors are tiny projectors that are small enough to be embedded inside mobile devices like phones, digital cameras or video players. These projectors make use of DLP and LCoS technologies which have the ability to use a white light source and some kind of filtering technique, to create a different brightness and color on every pixel. That is why, as small as they may seem, they are highly capable of showing large displays on any flat surface (sometimes as big as 100”!). HiMax—a prominent manufacturer of display drivers for large-sized TFT-LCD panels often used in desktop monitors and TVs—claims that the new HiMax Pico Projector is the world’s first and only SuperSpeed USB-capable. The device is combines SVGA (800×600) high-res LCoS microdisplays from HiMax Display with a USB 3.0 chip from Evolution Technology Corporation. The USB 3.0 HiMax LCoS solution delivers data at a rate that is 10 times faster than its predecessor, USB 2.0, which allows it to produce an enhanced video viewing experience for its users. High-res videos are quite impossible to watch without delays and skips because USB 2.0 can only support up to VGA resolution (640×480) while the USB 3.0, which provides a higher bandwidth, is able to playback high-res videos in a seamless real time environment while maintaining quality and compatibility with USB devices currently on the market. So why would users buy this device? If you love watching videos via video sharing sites such as YouTube, then this gadget is a must-have! Use the HiMax USB 3.0 Pico Projector with your desktop, laptop, digital cameras, handsets and other consumer electronic devices via USB port, without having to look for another source of power supply. This device allows users to enjoy a smooth real-time viewing experience while on the go! With its SuperSpeed capability, as well as its portability, numerous laptop companies have expressed strong interest in incorporating this pico projector solution. Nonetheless, we are anticipating this to be higher than the already costly price of regular pico projectors. 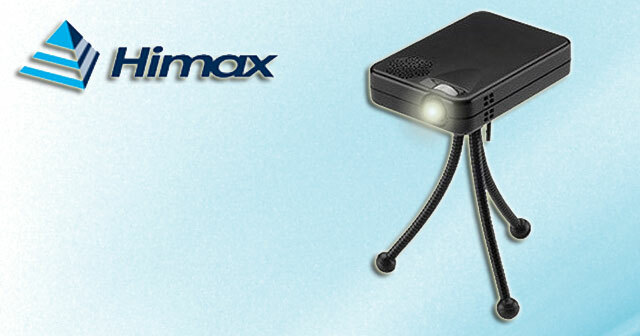 Although HiMax has not revealed a specific date, expect the HiMax USB 3.0 Pico Projector to be in stores soon. As a sidenote, there’s something more to look forward to: HiMax is promising to develop products capable to playback in Full HD (1920×1080). Would you invest in the new HiMax USB 3.0 pico projector? Let us know what you think! This entry was posted in Himax, SuperSpeed USB 3.0, USB 3.0, USB Devices, USB Technology and tagged First USB 3.0 Pico Projector, HiMax Technologies, Pico projectors, USB 3.0 HiMax LCoS solution, USB 3.0 Pico Projector, USB 3.0 Projector. Bookmark the permalink.